A vegan pie has risen to claim top spot in a competition held at the home of the pork pie. 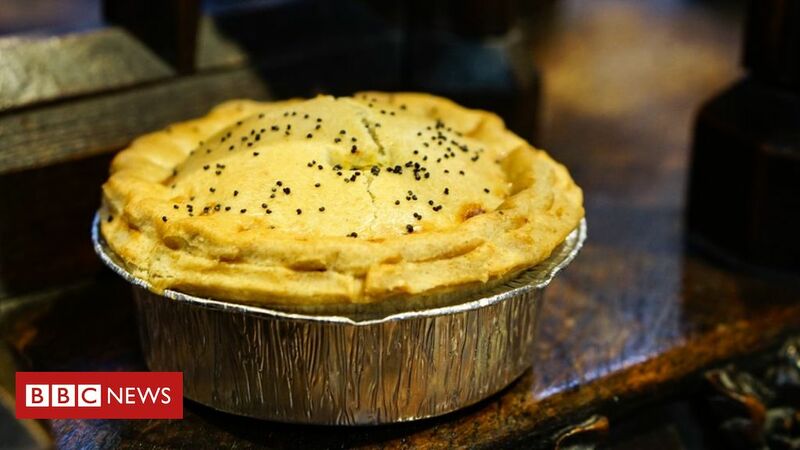 The curried sweet potato and butternut squash treat was picked as Supreme Champion at the British Pie Awards held in Melton Mowbray, Leicestershire. A new vegan category was introduced this year and attracted 68 entries. 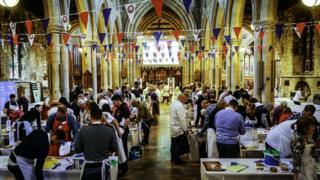 Organisers said the winner, from Jon Thorner’s butchers in Somerset, was “well deserving of the accolade”. Mr Thorner said his firm had been making meat pies for more than a decade before branching out “in an effort to make our pies more accessible”. “We’re so thrilled at the level of success our vegan pie has had,” he said. The top crust beat 886 entries from pie makers, bakers and butchers from all over the country to scoop the overall title too. Head judge Colin Woodhead commended the winner for its moist and well-balanced filling and added: “There are a number of challenges to making a good vegan pie and this has cracked it. Other new categories this year included a specialist fish and chip shop pie and best young pie maker. Each entry is judged on presentation, consistency and flavour and must be baked with “a filling wholly encased in pastry”. 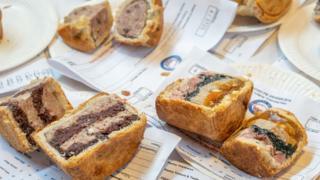 The awards, which marked their 10th anniversary this year, are hosted by the Melton Mowbray Pork Pie Association. Chairman Matthew O’Callaghan said the standard of pies has “significantly” improved since the first competition in 2009. With categories now recognising gluten-free, vegan and vegetarian products to reflect the “evolving” tastes of the nation, he said the growth of the awards has helped showcase the continued popularity of the humble pie. “We started off small with the idea to celebrate pies, because they’re one of the great contributions to the world from British cuisine,” he said.